How is a Place Added to the National Register of Historic Places? Chances are good that you’ve visited a site listed on the National Register of Historic Places in your life. 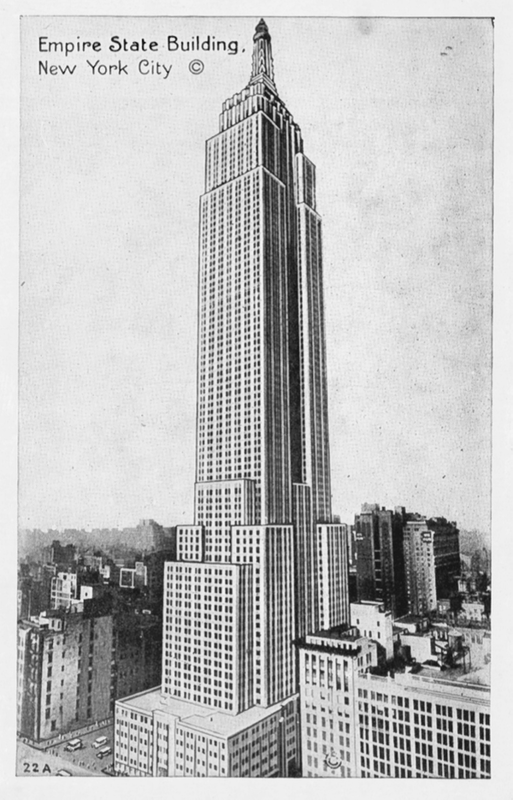 The Marlboro Courthouse in Charleston, SC, Independence Hall in Philadelphia, PA, and the Empire State Building in New York City, NY are just three of the 90,000 individual site preserved by the registry. They are recognized for their significance in the evolution of art, culture, history, and archeology, but how exactly do they make it to the list in the first place, and where did the list come from? How was the national registry of historic places born? The National Register of Historic Places was enacted as part of the 1966 National Historic Preservation Act, and was the first effort the country made to preserve its historic sites. Until 1966, historic conservation laws didn’t exist - it was the responsibility of the local and state governments to fund and protect any memorials, monuments, sites, or locations they deemed historically prominent. 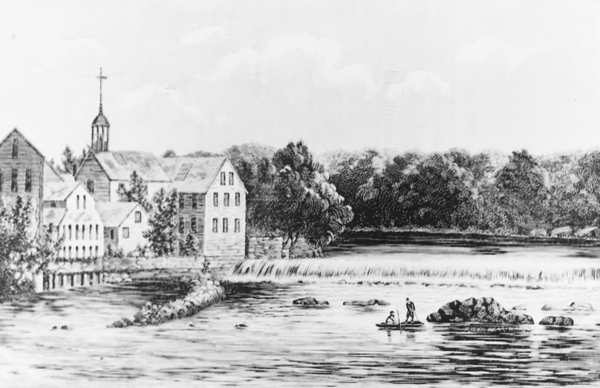 Old Slater Mill, located in the historic district of Pawtucket, Rhode Island, was the first site to be added to the registry on November 13, 1966. It was one of the first cotton spinning mills built in America. A slew of nominations followed the mill. The program quickly designated a “Keeper” - someone who oversees decisions on what sites meet the criteria to be named a national historic site. The first official Keeper of the Register was William J. Murtagh, an architectural historian. He oversaw the organization in the late 1960s and early 1970s when it was still underfunded, understaffed, and had few guidelines to operate under. In 1979, two Assistant Directorates were established: the Assistant Directorate for Archeology and the Assistant Directorate for Park Historic Preservation. However, by 1983, the two directorates merged to become more efficient in their work. Jerry L. Rogers was the first person chosen to manage the newly-formed program and remained in this role for more than a decade. It was during Rogers’ tenure that the organization grew exponentially. By 1986, citizens and groups had nominated 3,623 properties, sites, and districts for consideration. From 2010 to 2018, 100 more sites were accepted to the registry. How does a site become a registered historical location? - It must have yielded or may be likely to yield important or prehistorical information. The nomination is completed through a standard online application. Once these have been submitted, the SHPO examines who will be impacted if the proposed site is added to the list and reaches out for public comment. If the SHPO proves that the site could be harmful to the surrounding area or the public loudly rejects it, the nomination will not be approved. In this case, a case may be appealed to the National Park Service for Determination of Eligibility (DOE), where they take a closer look at the potential harm the site making the registry might cause, potentially overruling the SHPO’s decision. If the nomination is approved, the state office passes it along to the National Park Service (NPS) in Washington D.C. for final approval. The NPS categorizes listings into five main types: district, site, structure, building, or object. Some sites are automatically added when they are administered by the NPS. These include National Parks, National Monuments, National Military Parks, and National Memorials. When a nomination has passed each of these stages, it is named by the Keeper in the National Register of Historic Places database. The final step in the process is to receive a plaque. The program does not supply plaques for every location approved, but owners of the site are welcome to contact the State Historic Office and arrange for one to be made. What happens after a site is registered? The Keeper adds the newly-designated historic location to a searchable database that contains all registered historic sites and their background information. How the physical site is maintained after it has been added to the register is largely up to the property owners. There are no federal laws that restrict owners of historic sites from remodeling or reconstructing as long as they are not receiving any federal funding. Similarly, there is nothing that forces them to make the site available to the public. It’s possible for sites to be removed from the list. Reasons for this vary from being destroyed in a natural disaster, to public safety officials deeming the location a danger. If the site has proven to be a liability – like having a fire or asbestos hazard - they will often be torn down. In most cases, when a site is added to the list, it is kept in the best condition possible for as long as possible. More often, once a property owner or committee has gone through the process of registering a site, they’ll welcome the public to explore and learn about it. On a local level, submitting sites to the registry can help to encourage the preservation of other locations, build community pride, and increase heritage tourism to the area thereby increasing economic growth. What are some of the locations today? Historic sites registered today include the Empire State Building and Statue of Liberty in New York City, and Independence Hall in Philadelphia. Every site marks an important moment in American history - one worth preserving, remembering, and learning from. While most sites are expected, there are a handful that may come as a surprise. For example, Riverside Plaza is an apartment complex in Chicago that captures the modernist art movement, and has since been nicknamed “Rainbow Sky Ghetto,” has been accepted as a national historic site. The cities that have the most listed historic sites are Philadelphia, Boston, Charleston, and Williamsburg, Virginia. The National Register of Historic Places was the United States’ first step toward respecting and preserving its vibrant and rich history. These are places that helped shape this country and have much to teach their visitors. Anyone can find what registered sites and landmarks are in their state by visiting the National Register for Historic Places website and searching for their home state, county or town. There are historic sites almost everywhere bearing a wealth of stories to share.